Tomorrow morning we go live again with "Art of The Red River". We have a star studded guest line-up this month and I hope you'll consider listening in! I know 12pm Central time may not be a perfect moment for some of you, so lucky you!! It gets recorded for your convenience! Anyway artist Daniel Davis from Steam Crow studio will be with us. Steam Crow is a Phoenix, Arizona studio, that designs, illustrates and creates astonishingly good monster goods! Established in 2005 by Daniel and his wife Dawna Davis, they’re dedicated to making amazing and odd goods using the Steampunk aesthetic. Daniel Davis will be joining us to discuss their books, their toys, their prints and and the phenomenon that is Steampunk! 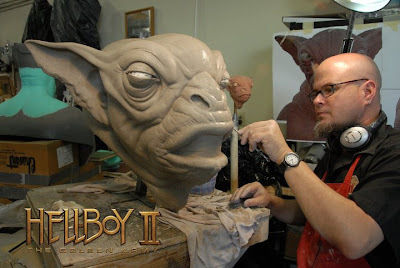 New York native, Bruce Spaulding Fuller is a sculptor, makeup artist, puppeteer, and concept artist on scores of motion pictures. We're thrilled to have him join us on tomorrow's show. His filmography includes such classics as Army of Darkness, Misery, Resident Evil Extinction, Aliens vs Preditor, and all three Underworld Films. Currently his handiwork is on display in such features as Marvel's Thor , Xmen First Class, and Tim Burton's Alice in Wonderland. He lives and works in Hollywood, California. Tom Brown will be talking with us from his new residence, on a long boat in England. He was scheduled for an earlier show, but due to his recent move has rescheduled to join us this time! 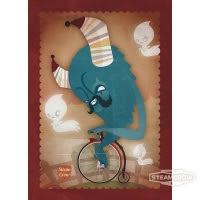 Over the years, art has taken Tom to some strange conceptual places including a Christmas card featuring Lovecraft, and H.P. Lovecraft mythos themed designs for a deck of cards. 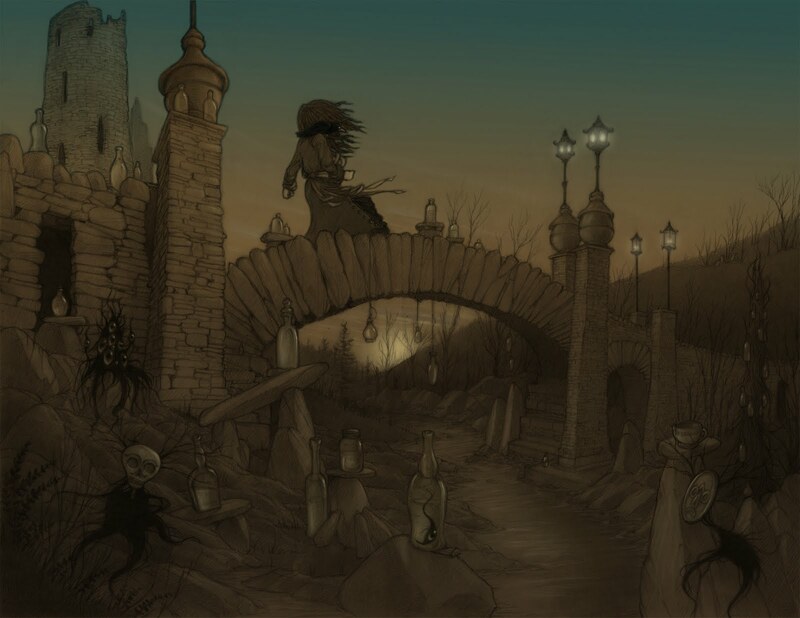 He'll be talking with us about his web-comic Hopeless Maine, which was recently nominated for an Eagle Award. As you can tell, I'm so excited to be offering such quality programming! It should be a wonderful show!!! Like said earlier, I miss listening to your live shows...but I can see the richness of the art in your blog posts! Have a good time..the sculptures excel! Praises to the sculptor!